Traditional observation and feedback processes are filled with challenges and inadequacies, such as time, perspective and subjectivity, making it hard for teachers to see them as valid and worthwhile. 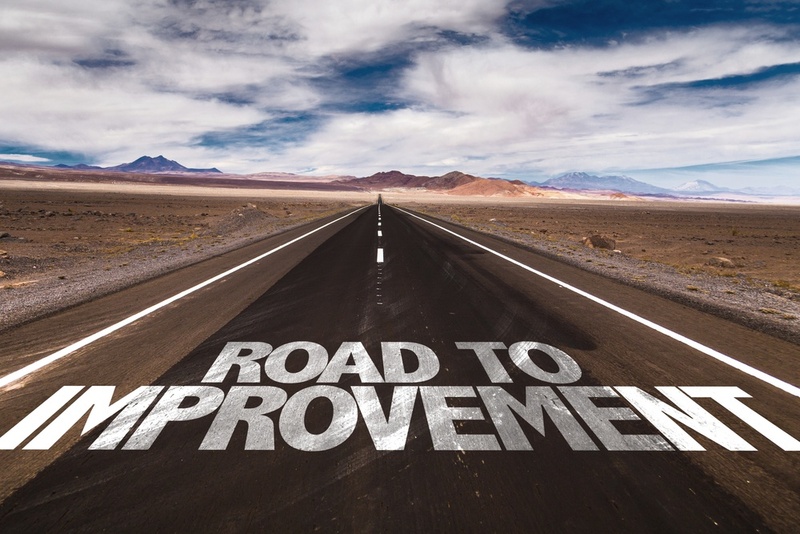 As a result, there’s been a big push in recent years to make lesson observations work better for teachers by shifting them from a "done to", to a "done with" model, reclaiming their real purpose: aiding teachers development instead of performance management. So, what better place to get advice on how to make this happen than by asking teachers and education experts themselves. “Is it supportive and developmental, or based on an arbitrary rubric? "Apply a critical research standard and the best existing knowledge to the process of developing, implementing and validating observation protocols"
"Stop assuming that untrained observers can either make valid judgements or provide feedback that improves anything"
"Ensure that good evidence supports any uses or interpretations we make for observations"
Like many who live in this digital age, educators have turned to technology for further help in making lesson observations even more effective. For example, video-based lesson observations have significant advantages to traditional methods and can overcome many of the challenges that have plagued the lesson observation process for decades. In fact support for using video among teachers and educators is rapidly growing. In a SmartBrief poll, 91% of teachers felt that simply filming their teaching practice would help them to improve it, and 76% said they would be willing to select and submit a video for use in a formal observation. This growing support isn’t just coming from teachers either. Eighty five percent of school leaders surveyed by SmartBrief said that using video for lesson observations would help them to provide teachers with more meaningful and actionable feedback. Educators are seeing the huge potential that video has for helping them to push their practice to the next level and ultimately improve outcomes for learners. But how exactly does it help? Acceptance - Lots of teachers struggle to accept feedback not because they don’t want it but because it’s not accurate, reliable or relevant. Video-based lesson observations provide evidence and a reference point for both teacher and observer, making feedback more objective, specific and acceptable. Reliability - When it comes to reliability the benefits are threefold. Video removes much of the subjective nature of lesson observations, teachers aren’t left to interpret feedback on their own and, in the event of a dispute the video can be used as concrete evidence. Accuracy - Most lesson observations don’t provide a full and clear picture of a teachers practice and classroom dynamics, and yet accuracy is key for providing relevant and actionable feedback. Video overcomes this by providing a more comprehensive view that can be paused and rewound. Plus, with more time to look at the intricacies of a lesson, the observer can explore beyond what they see in the moment. Contextualised feedback - Feedback and dialogue processes associated with traditional lesson observations often take place sometime after the observation itself. This means the observed practice is often dim in the memory and feedback is inevitably broad and subjective. Through video-based lesson observations feedback is contextualised, personalised and immediate, making it truly effective. Perspective - According to Professor John Hattie, teachers only see and hear 20% of what is happening in any given lesson. That means that when a teacher reflects on a lesson, they are only reflecting on 20% of it. Moreover, they will be evaluating the least important part because they’ll be considering their own perception of the lesson, not that of their learners. Video-based lesson observations not only allow a teacher/observer to reflect on the majority of the lesson, but also understand how the learners experience it and what they get out of it. This is a game changer for understanding teaching and learning through lesson observations. Time - It’s been recommended in the past that school leaders spend 25% of their time on observation and feedback. But with already high demands on educators time, this is almost impossible to realise without the right tools and support. 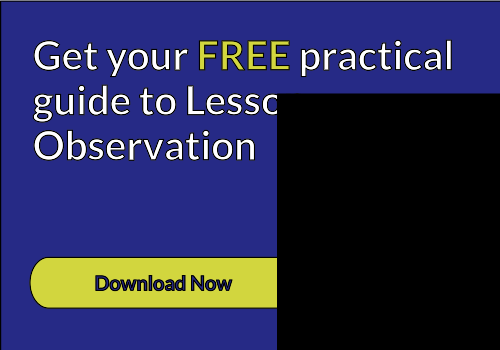 Video-based lesson observations provide flexibility for observers to view and feedback on lessons at a time that suits them, increasing the number of opportunities as well as effectiveness.